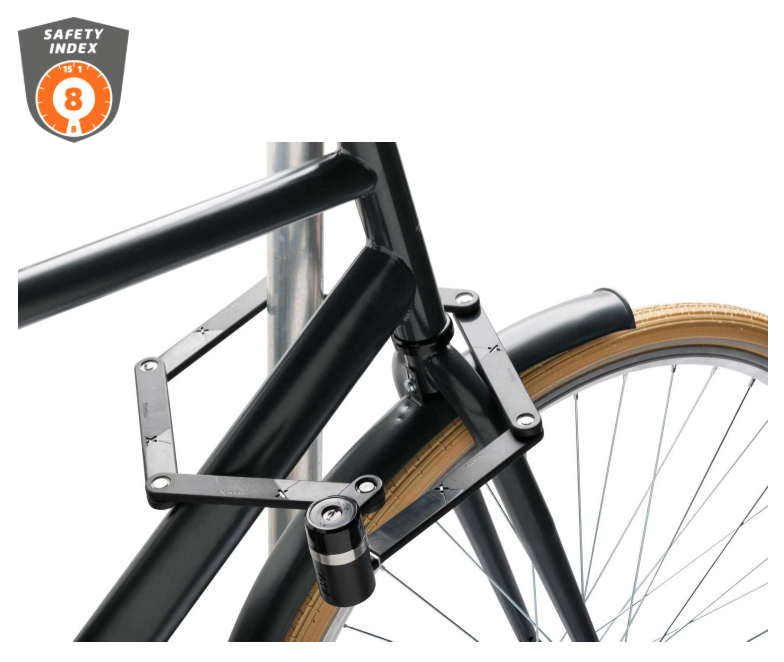 The ultimate urban commuter bike lock, imported from The Netherlands. 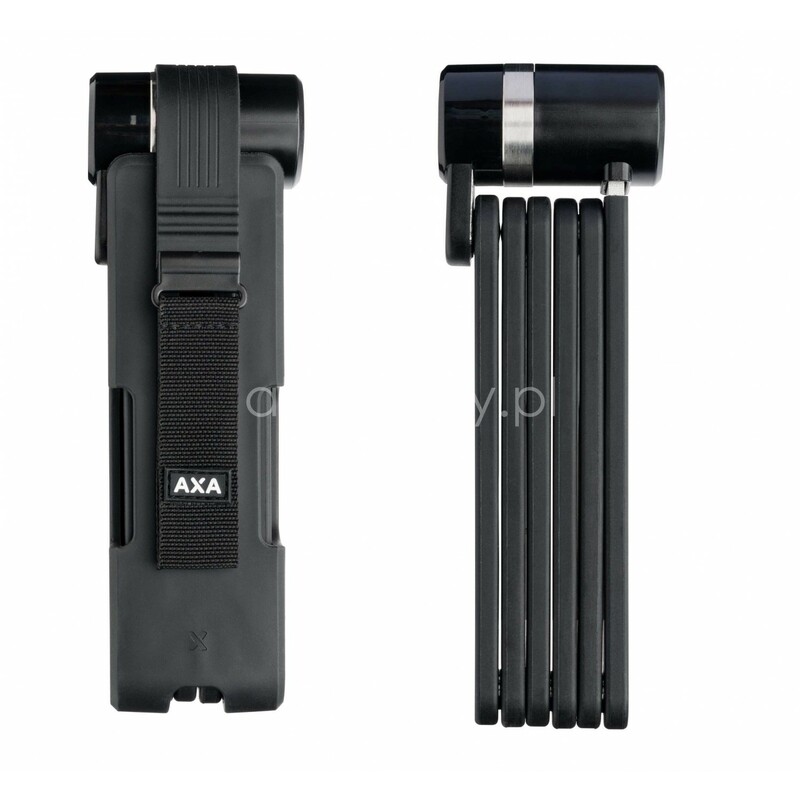 The AXA Newton FL90K is a key operated foldable lock and is an addition to the complete Newton lock range. Extremely suitable for use with all types of bikes. 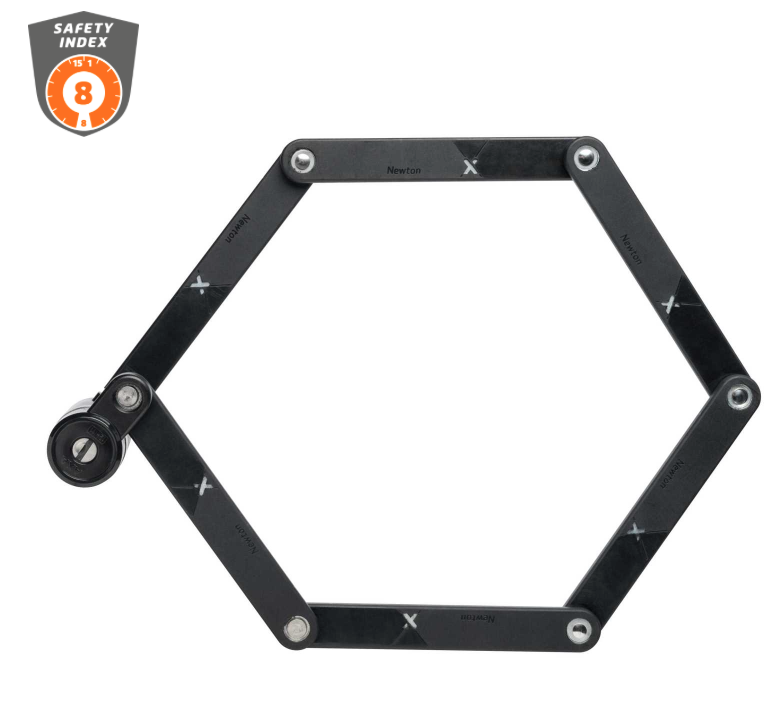 This hardened steel foldable lock is easy to use as it has several pivot points combined with it’s length of 90 cm you can easily lock your vehicle to a fixed object. The cylinder is protected from moist and dirt by a cover to extend the life span of your lock. The international online key service offers you the opportunity to order a spare key at any time. For transportation purposes, the foldable lock is packed in a nice holder with the mounting strip.